You may remain on grounds for one hour after closing. Seneca Park Zoo is a 15.5-acre (6.3 ha) zoo located in Rochester, New York. The Zoo is home to over 90 species including mammals, reptiles, birds, amphibians, fish and arachnids. 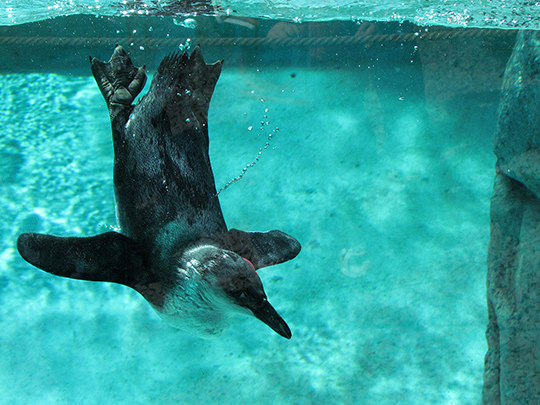 It is accredited by the Association of Zoos and Aquariums (AZA). The Zoo is operated by Monroe County with support from the Seneca Park Zoo Society. The current Zoo Director is Larry Sorel and the Executive Director of the Seneca Park Zoo Society is Rachel August. The Zoo opened in 1894 in Seneca Park. Seneca Park, designed by Frederick Law Olmsted, is located on the border of the City of Rochester (Group 14621 neighborhood) and the Town of Irondequoit, along the Genesee River. The park was opened in 1893, and animals started being displayed in 1894. The first major addition to the Zoo was the Main Zoo Building in 1931. The building was home to a wide variety of animals in cages. The Seneca Park Zoo Society was chartered as an educational institution by New York State in 1957. Since that time, the Society has evolved into a non-profit organization that supports and promotes the Zoo by running educational programs, special events, marketing and public relations efforts, fundraising and food and gift operations. The Rocky Coasts exhibit opened in 1997. It is an area dedicated to animals of the polar and temperate coastal regions of the world, including African penguins, California sea lions, polar bears, snowy owls, Canada lynx and sandhill cranes. The exhibit includes an underwater viewing area which places visitors close to the sea lions and polar bears swimming behind large glass windows. A Step Into Africa was unveiled in 2012 and the exhibit includes a replica Maasai hut, Dig Zone for uncovering casts of fossils, interactive learning tools, and a stationary safari bus from which the Zoo's African lions can be viewed. 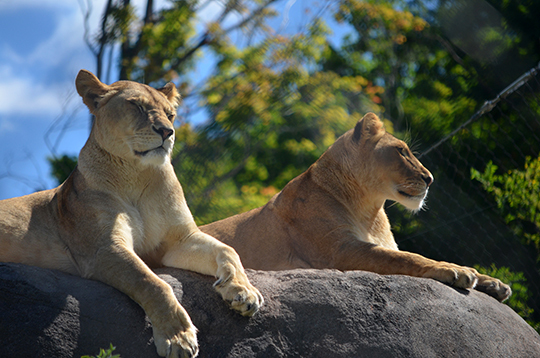 The area is home to the Zoo's African Elephants, olive baboons, and African lions, in naturalistic settings. 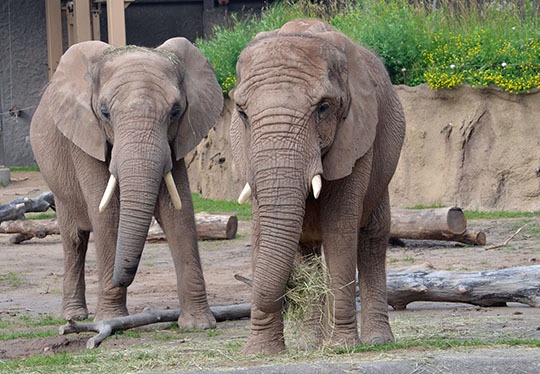 Seneca Park Zoo is home to the only two African elephants in New York State. The Zoo's animal collection changes periodically with AZA recommendations regarding breeding through the Species Survival Plans (SSPs), animal deaths and births. The spring of 2013 proved to be a very fruitful time at the Zoo as it welcomed two African lion cubs, six African penguin chicks, one golden lion tamarin baby, three domestic goat kids, a California sea lion pup and a Bornean orangutan baby. Seneca Park Zoo reaches out to many communities in the Western New York region to educate the public with regards to animal and resource conservation, environmental awareness and recycling programs. The Zoo is a popular destination for school field trips and the Zoo has created expeditions for schoolchildren to learn specific lessons in a zoo setting. The Zoomobile, sponsored by Wegmans, brings small, transportable animals to places like recreation centers, senior living facilities and schools. The Butterfly Beltway program, sponsored by the Daisy Marquis Jones Foundation,is a program aimed at planting butterfly gardens to increase populations of monarch butterflies, vital pollinators in the region. Additional programs such as summer programming, ZooCamp and ZooTeens give the community an opportunity to enjoy first-hand experiences with educators, zoo keepers and animals. Seneca Park Zoo hosts many events throughout the year including free-with-admission events such as animal birthdays and conservation and species awareness days. Popular fundraisers include ZooBrew (The Wildest Happy Hour in Town), Zoobilation (annual gala), ZooBoo (Halloween) and Breakfast with Santa. The Jungle Jog 5K race that occurs in July of each year boasts a course that takes runners through Seneca Park and the Zoo. Parking at Seneca Park Zoo is free. The Zoo boasts two concessions stands for meals and snacks. The Zoo is on the #5 St. Paul RGRTA (bus) route. All photographs uploaded by the Seneca Park Zoo Society. They are copyright Seneca Park Zoo Society and, unless otherwise noted, taken by Kelli O’Brien, PR & Marketing Coordinator, Communications Department, Seneca Park Zoo Society.